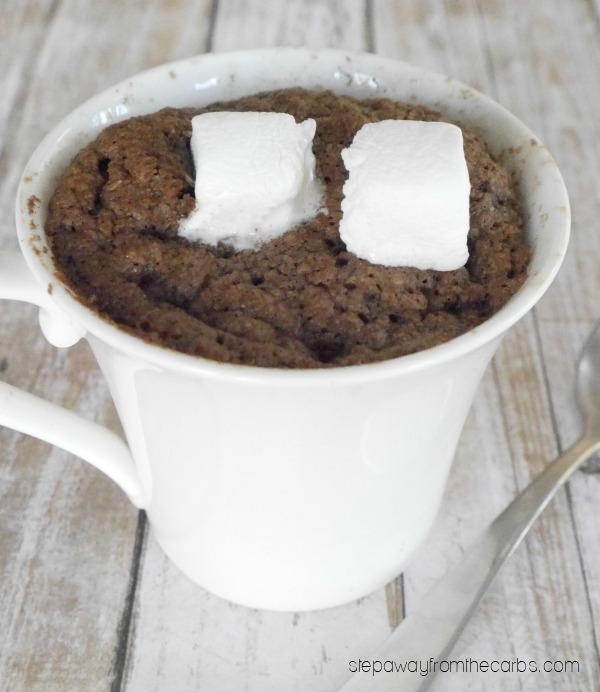 Enjoy this hot chocolate mug cake as a low carb and sugar free treat! 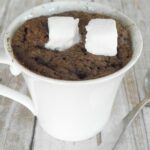 There are lots of mug cake recipes around, but I’ve decided to make a hot chocolate mug cake! For me, that means that marshmallows are absolutely necessary – but I have no intention of making my own! 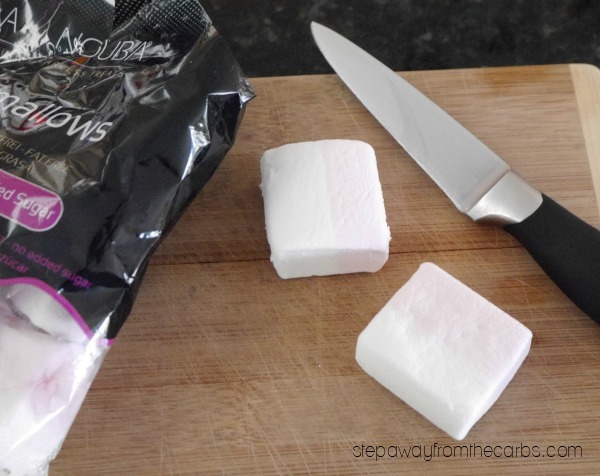 Instead, I’m using some delicious sugar free and low carb marshmallows from a Belgian company called La Nouba, and you can buy them from either Netrition or Amazon. 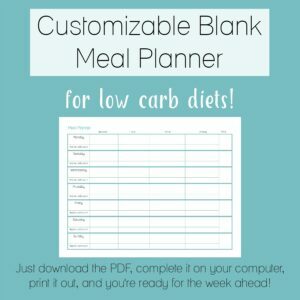 The carb count depends on whether you include sugar alcohols when counting carbs – opinions vary on this so I’ll give you the facts. For two marshmallows the carb count is 11.64g, but the sugar alcohols are 11.52g, meaning that if you don’t include sugar alcohols, you’re only getting 0.12g net carbs for two marshmallows! But even if you DO include sugar alcohols, don’t worry – because actually I’ve only used one marshmallow in this mug cake, so the net carb count is still low enough for a warming special treat. In a regular sized cup or mug, whisk together flaxseed meal, an egg, sugar free chocolate-flavor sweetening syrup (I use Da Vinci – it’s useful for so many things! 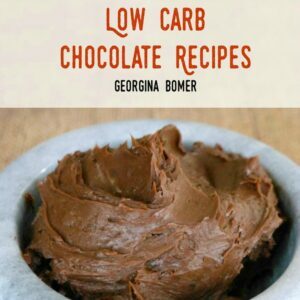 ), unsweetened cocoa powder, coconut oil and baking powder. Cut one marshmallow into half and set one half aside. Cut the other half into four small pieces and stir them into the cup. Microwave the mixture until the cake is cooked – microwaves vary but it only takes one minute in mine! Cut the remaining half into two pieces and add them to the top of the mug cake so that they start to melt slightly. Enjoy! In a regular sized cup or mug, whisk together everything but the marshmallow. Cut the marshmallow into half and set one half aside. Cut the other half into four small pieces and stir them into the cup. Microwave the mixture for 1 minute or until the cake is cooked. Mug cake: 2g net carbs Add carb count for the marshmallow according to diet type as discussed in main article. 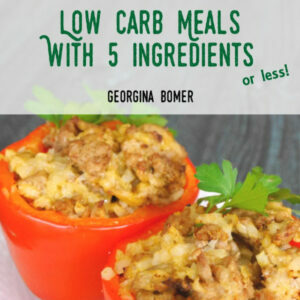 This recipe has been adapted from my book, Low Carb Chocolate Recipes! I love mug cakes! 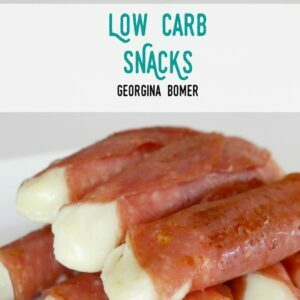 So perfect for a quick and easy dessert!